Research studies support Ivy League’s practice of exposing children to foreign languages at an early age when the young brain is maximally wired for language development. 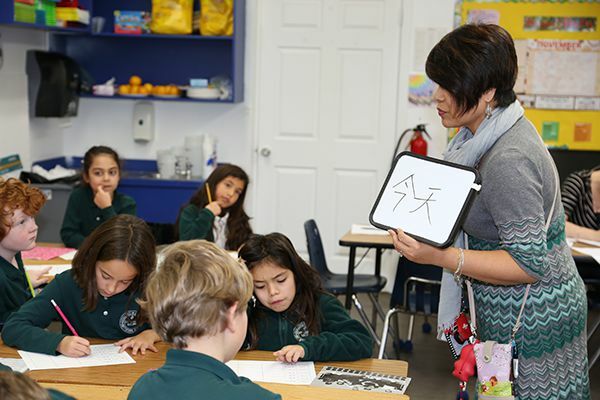 Beginning in our early childhood program, students are exposed to both Spanish and Mandarin. The approach is exploratory and interactive. Children acquire vocabulary and basic conversational skills through visuals, songs, stories and games. In Elementary and Middle School, language learning is structured, focused and sequential. Students learn to speak, read, and write, and like other subjects, use textbooks, receive homework and are assessed on their progress. Their exposure to both Spanish and Mandarin gives them a broader understanding of how languages work and how languages borrow words. Our experienced teachers also focus on cultural awareness, providing children with a wider view of this 21st century world. Students who are bi-lingual or have a high degree of proficiency are offered more advanced work.